The long-term goal of Dr. Bin Chen's lab is to develop computational methods and tools to discover new or better therapeutic candidates through collaborating with bench scientists and clinicians. Rapidly decreasing costs of molecular measurement technologies not only enable profiling of disease sample molecular features (e.g., transcriptome, proteome, metabolome) at different levels (e.g., tissues, single cells), but also enable measuring of cellular signatures of individual drugs in clinically relevant models. Our lab is interested in leveraging these data and artificial intelligence to predict new therapeutics, and connecting different components (patients, tissues, in vitro models and in vivo models) in translational research to guide biological experiments ( B. Chen, 2016). We are hiring postdocs and a research assistant ! Chen lab receives AWS Cloud Credits for Research Application to support OCTAD development, Thanks Amazon! Jing presents the work on the prediction of drug-induced gene expression change at the 2019 P4 Midwest Conference, well done! Our collaborator Prof. Haiyan Huang at UC Berkeley is visiting the lab for a week, welcome! Ke's cell line evaluation work is accepted in Nature Communiciations, Congrats! Patrick presents the DIPG work and Rama presents the MODS work in the Pediatric Research Day, well done! Patrick matched to the competitive Radiation Oncology program at the University of Oklahoma! We are super happy for Patrick! The book chapter with Ben, Li, Rong, Joel is online now. Great collaboration! Patrick's DIPG work is chosen as one of the six oral presentations from over 50 submissions in the MSU Pediatrics Research Day 2019. Well done! Albert Jiao presents his work on cholangiocarcinoma therapeutic discovery at MSU Graduate Academic Conference 2019. Well done! 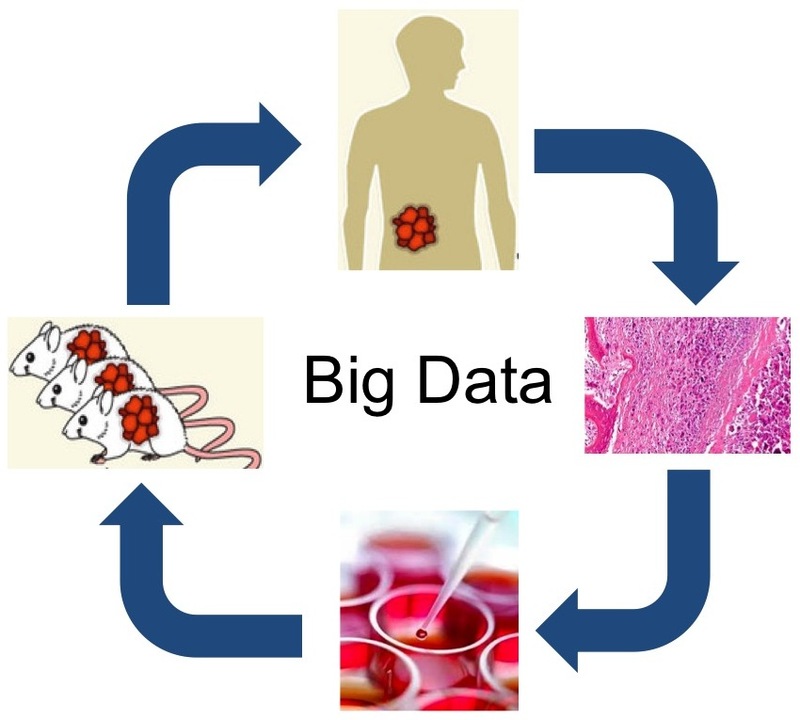 Our review on big data in HCC therapeutic discovery is accepted in Nature Reviews Gastroenterology & Hepatology. Congrats! Tom presents the AICM method and Bin presents the cell line evaluation work at PSB. Tom wins the travel award. Congrats! Welcome medical students Albert Jiao, Kasim Fassia and rotation student Omar Kana to the lab. Chen Lab work is reported in the Drug Discovery special issue at C&EN: Mining gene expression data for drug discovery. Chen Lab organizes the computational drug discovery workshop for medical students at MSU. Bin Chen speaks at the Big Data Ignite Conference in Grand Rapids. Tom's manuscript entitled "AICM: A Genuine Framework for Correcting Inconsistency Between Large Pharmacogenomics Datasets" is accepted to PSB. Congrats! Bin Chen is invited to speak at JSM 2018 in Vancouver, Canada. Welcome new members. 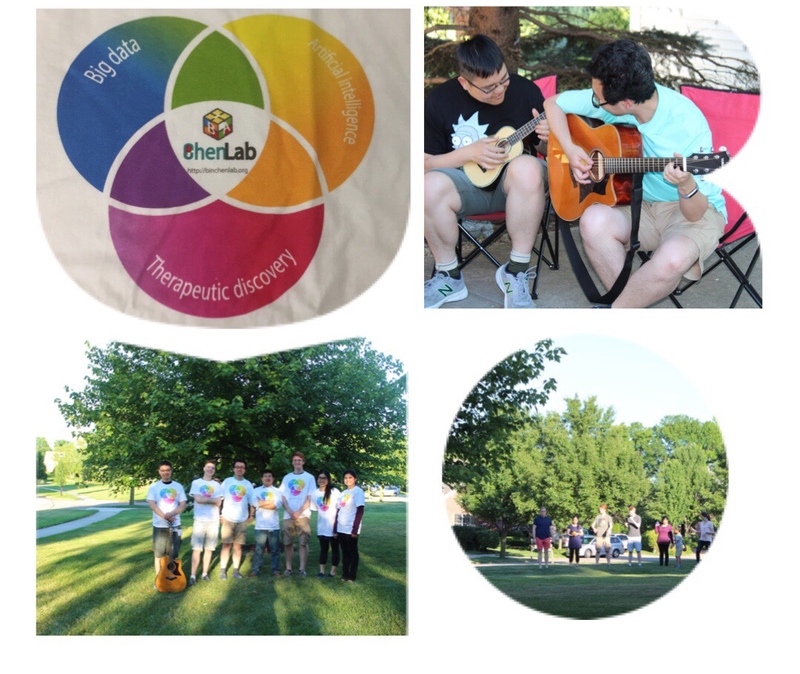 Check out our first lab party at MSU. Bin Chen speaks at ICSA 2018 Applied Statistics Symposium in New Brunswick, NJ and at ICIBM 2018 in Los Angeles, CA. Bin Chen attends the 2018 Data Science Innovation Lab: Mathematical Challenges of Single Cell Dynamics. Ke submits his manuscript about cell line evaluation for metastatic cancer research. Way to go. Chen Lab moves to MSU from UCSF. Chen is recruited under the Global Impact Initiative program. Billy's manuscript on using deep learning for reference normal tissue selection is accepted by ICIBM 2018, and will appear in BMC Genomics. Congrats! Billy submits his manuscript about using deep learning for reference normal tissue selection and Jenny submits her abstract about identifying breast cancer non-responder signatures.Well done. Our liver cancer work is featured in the UCSF Magazine Winter 2018 and the UCSF Cancer Year in Review: 2017 . Well Done 2017! Michael F. Sharpnack's paper on RNA editing is out and there is one commentary on this work. Congratulations! We are joining the IDG (Illuminating the Druggable Genome ) Ion-Channel informatics team. Bin Chen gives a talk for the DahShu Virtual Club and SFASA Monthly Seminar. Download slides and video here. We are excited to participate the P01 grant entitled "I-SPY2 +: Evolving The I-SPY 2 Trial To Include MRI-Directed, Adaptive Sequential Treatment To Optimize Breast Cancer Outcomes". We will predict drugs to overcome drug resistance in breast cancer. Excited to join I-SPY. The basal cell carcinoma repositioning work led by the Stanford researchers is accepted in JCI Insight. We recieve a 2-year R21 ($570K in total) from NCATS to support our liver cancer drug repositioning work. Our recent big data work is featured in KCBS. We, together with Butte Lab and Hadley Lab, recieve funds from L'Oreal to discover drugs for hyperpigmentation. Welcome Reuben Sarwal, an undergraduate student from UC Berkeley, to join us this summer as an intern. Bin Chen recieves the BD2K K01 Career Development Award (four years, $684,000 in total). He will use this award to develop novel methods for personalized cancer therapy. Bin Chen is invited to present the work on using big data to combat cancer to UCSF donors at UCSF Cancer Showcase 2017.
our paper on using big data to identify new therapeutics for Ewing Sarcoma is out. Bin Chen and other members from Dahshu organize the conference Dahshu 2017: Data Science & Computational Precision Health. Paper submissions due: October 10, 2016 11:59PM PT!! !